We service you with printingmatters & presentationmaterials. Certainly you do not want to travel with heavy printingmatters and presentationmaterials! When planning your participation at a fair you will have a lot to consider. Your plan will consist of many details and many elements. So much is to be considered. How the stand will be set up and look, which message you want to give to your audience and which (printed) information you would like to hand out. Many things can be dealt with from your office, others must be dealt with at the location of the trade-show or fair. Here in the EU we can be your local partner! When it comes to printingmatters, paper is heavy. Presentationmaterial is often very large or bulky. So why not make use of our services?! We can deliver printingmatters to any given address in Europe. We make your life as a trade show participant much easier. So no matter what you will be asking us, we will be happy so see how we can help. Birddog from Australia to Rai Amsterdam. This week we delivered 3 printingmatters to the company Birddog from Australia, not to Australia but to a location in Amsterdam. Birddog is a trade show participant at the IBC2017 fair Sept.14th-Sept.19th. The company contacted us just about a week ago with their requests and after a swift quote we were ordered to deliver printingmatters. Printing flyers for your trade show in digital or offset printing. We service you with any quantity or size you need. Our printing of flyers is very much 100% as you require it to be. We have many paperweight qualities and paper-types available. So either for you who would like just a cheap handout or you who desires a high-class top quality flyer with an extraordinary feel to it. We can comply! Max customer service to you: our client. Attending a fair is always exciting, a lot of work and sometimes a little stressfull. We have many possibilities to help you. 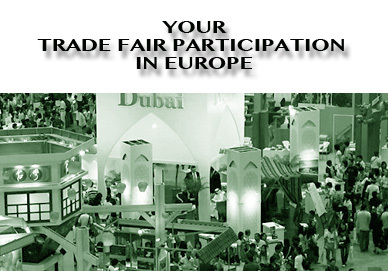 It does not matter to us which trade show you are attending, as long as it is in Europe or in Scandinavia. To any location we can offer you a fast and comfortable service. Ranging from simply printing your printingmatters in time, delivering the printingmatters to an address of your choice (perhaps even to your booth), up to helping you set up your booth with large printing items. A good quality of service is our first priority. Taking things out of your hands and making your life just a little easier. We are professionals and get things done!